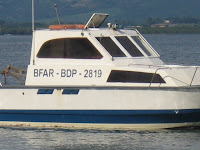 The Regional Office of the Bureau of Fisheries and Aquatic Resources (BFAR) in Caraga is set to turnover a patrol boat to the municipality of Del Carmen, Siargao Island that will help in the conservation, protection and rehabilitation of the environment and natural resources. During the recent interview with a local broadcaster here, BFAR-Caraga Regional Director Nerio Casil said illegal fishing is very rampant in the coastal areas of Siargao Island, which prompted them to take necessary action. Dir. Casil also said that with the said motor vessel, illegal fishing will be minimized as they are determined to run after those fishermen who are practicing dynamite fishing and other illegal fishing activities. Casil said illegal fishing activities tend to happen when perpetrators know that the arm of the law cannot reach them.